My tried and tested toad in the hole recipe. * I used 3 eggs, but as they are from our chickens they are quite a bit larger than the ones you get in the supermarket. 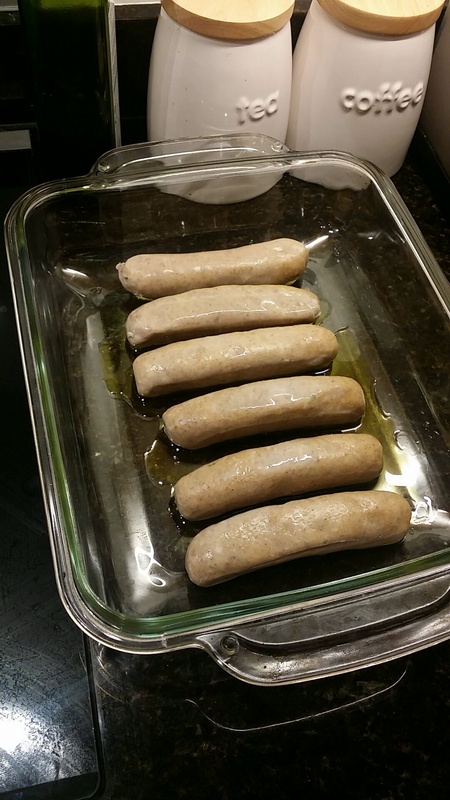 Place the sausages in a dish with a splash of oil, then put in the oven for 10 minutes. While the sausages are in the oven, prepare the batter. Put the flour into a mixing bowl, add the eggs and half the milk. 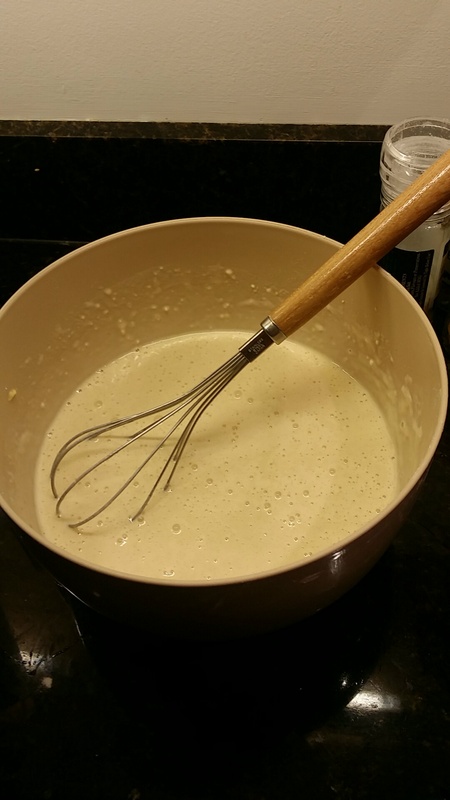 Whisk it together until mostly smooth, then add the rest of the milk and whisk it some more. Season with salt/pepper if you wish. After the sausages have been in the oven for 10 minutes, remove and pour the batter over them. Put back into the oven and bake for 40 minutes. The rest of the feast.